California State University campuses in San Diego County on Tuesday reported receiving record totals of freshman and undergraduate transfer student applications during the fall application period. SAN DIEGO (CNS) - California State University campuses in San Diego County on Tuesday reported receiving record totals of freshman and undergraduate transfer student applications during the fall application period. At San Diego State University, more than 83,300 hopefuls applied in the period that ended Nov. 30. 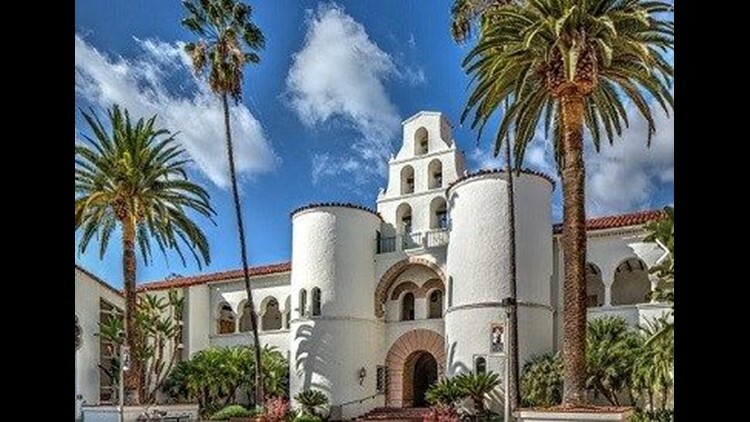 The total is a 3 percent increase over last year, and the fifth straight year that a record was set, according to SDSU. "We are excited to again see record interest in our academic programs," SDSU President Elliot Hirshman said. "This interest reflects the dedicated efforts of our talented faculty and staff members, our growing national reputation and the extraordinary achievements of our alumni and current students." Among the fall SDSU undergraduate applications are 59,953 would-be freshmen and 22,817 transfer students, up 3 and 2 percent, respectively, over last year. International students have until May 2016 to apply for admission to SDSU, so the final application number will be marginally higher. Cal State San Marcos received 15,161 applications from prospective first-time freshmen, a 12.5 percent increase from last year and a nearly 35 percent increase from the year before. CSUSM also received 8,628 transfer applications, a 6 percent increase from last year. "As we conclude our university's 25th anniversary, it's clear that CSUSM has distinguished itself as a first-choice institution," said CSUSM President Karen Haynes. "Students from our region, California and beyond know that CSUSM is an academic community like no other that will prepare them for success while also offering opportunities for personal growth and leadership," she said. CSUSM officials said Fall 2016 applicants can expect to receive notification of acceptance by the end of January.